WASHINGTON -- Enhancing psychological testing for airline pilots will be considered after the apparently intentional crash of Germanwings Flight 9525, the head of an international trade group said Wednesday. But Tony Tyler, CEO of the International Air Transport Association that represents 250 airlines worldwide, said a thorough investigation must be completed in order to draw lessons from the incident. Regulators have done a lot of work to ensure pilots are healthy, but after the Germanwings crash "people will be looking at these issues with fresh eyes," said Tyler, who met with a handful of reporters on his way to an operations conference in Los Angeles. "The issue of psychological screening, psychological testing, the evaluation of the mental state of not only perhaps pilots, but others in the safety value chain, will no doubt be something that has to be considered and we'll have to think about ways of seeking to avoid a recurrence of that terrible accident," Tyler said. Prosecutors have said the Germanwings co-pilot, Andreas Lubitz, locked the pilot out of the cockpit during a flight from Barcelona to Dusseldorf before crashing the plane into the French alps on March 24. Lubitz had been treated for depression, prosecutors said. Airlines such as Lufthansa, the Germanwings parent, adopted the U.S. policy to keep two crew members in the cockpit at all times. But the French investigation into all aspects of the crash could take a year. "It will prove in due course to have been another example of how the industry learns from these tragedies and applies the lessons of these tragedies to diminish the likelihood of their recurrence," Tyler said. "I'm sure the right lessons will be learned and applied." -- North American airlines are profitable, with a 2015 forecast of $13.2 billion for a 6% profit margin representing more than half of worldwide airline profits. The profits stem from consolidation, lower fuel prices and ancillary fees for services such as baggage and seat assignments. But asked about sharing those benefits by lowering fares for travelers, Tyler said the airline profit margin still trails companies like Apple, which has a 24% return on investment. Travelers are seeing the benefits from airline profits in $1 billion per month investment in new equipment and more flights, he said. "Sadly, airlines are not hugely profitable," Tyler said. "Customers are now seeing some positive results of airline investment in passenger experience." -- The U.S. Transportation Department should abandon a proposal to force airlines to include fees for luggage and seat assignments in their fares, Tyler argued. Airlines already reach deals with travel agents to sell tickets, but the industry should be allowed to develop a way for travelers to compare the variety of options now available, he said. "What other industry is forced to market its product through channels it hasn't chosen to use for those products?" Tyler asked. "The proposed rule is at best is yesterday's solution to an issue that the industry is well on its way to solving." -- More than a dozen airlines are experimenting with a new computer language for reservations, to allow a side-by-side comparison of airline fees on a travel agent's website like Orbitz. The computer language now used at comparison sites dates to the 1960s and can't handle the options available today. IATA is offering funding to spur third-party groups to set up comparison websites with more options. Under a five-year plan, the group expects travelers to be able to comparison shop with the new language in 2017. -- As Congress debates Federal Aviation Administration legislation, lawmakers are studying whether to remove air-traffic control from the government as a stand-alone entity funded by the industry. The goal would be to avoid unpredictable congressional funding. But controllers and others have raised safety concerns about privatizing a government function, so the debate will be contentious. Tyler said Canada, which has a fraction of the aviation traffic, offers a good model that the United States should consider seriously. "I believe that separating the air-traffic management functions from the FAA into a separate organization that should be run on a not-for-profit basis paid for by the industry would be a very positive way forward," Tyler said. -- Venezuela still holds $3.7 billion from 24 airlines, down from $4.1 billion last July, Tyler said. Only one carrier, Air Canada, has stopped flying to the South American country, but Tyler said the rest are eager to get their revenues. "The situation in the country is continuing to deteriorate," Tyler said. "The airlines simply want to be able to take their money." (Bloomberg) -- Investigators of the private-jet crash that killed billionaire Lewis Katz discovered that the sports mogul's personal pilots almost never performed the required pre-flight safety checks when shuttling their boss around the country. There were only two occasions out of the last 176 trips of Katz's Gulfstream IV in which the pilots bothered to fully test the flight controls before takeoffs, according to preliminary reports released Wednesday by the U.S. National Transportation Safety Board. While the NTSB isn't yet ready to assign definitive blame for the cause of the crash, the hundreds of pages of documents it released paint a picture of two pilots repeatedly failing to follow basic safety procedures. That includes on their final voyage May 31, which ended with the plane skidding off a Boston- area runway and bursting into flames, killing the pilots, a flight attendant, Katz and three other passengers. "One of the main reasons that aviation is as safe as it is today is because of rigid checklist adherence," said John Cox, a former airline pilot who is now president of consulting company Safety Operating Systems. "It is vitally important. The fact that a crew would not do that is disappointing." The documents show that the aircraft made by Gulfstream, a unit of General Dynamics Corp., is also under scrutiny. 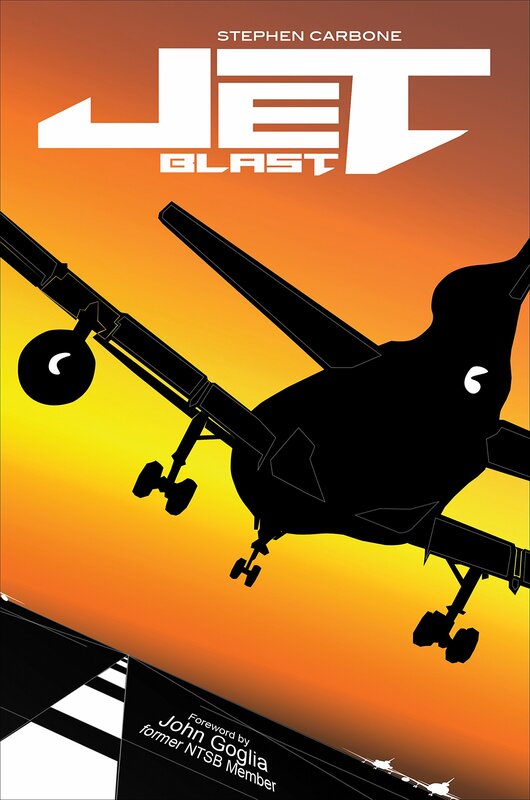 The plane's flight controls were locked during the takeoff and the company had designed its plane so that it should have been impossible to attempt a takeoff in that condition. The company acknowledged to NTSB that the system didn't perform as designed, according to the documents. Gulfstream didn't immediately respond to a request for comment. Testing whether a plane's flight controls are working is one of the most elementary safety checks, with pilots making sure all their controls can move normally and completely before beginning every takeoff. Katz's pilots had done so only about 1 percent of the time, according to the NTSB. In addition to the two full tests of the flight controls, the pilots did partial checks 16 times out of 176 flights examined, the NTSB said. Those checks were logged by a computer that recorded flight data. Without the check, the pilots didn't realize it was impossible to lift the nose during takeoff because the controls were locked. The first indication they had that they couldn't lift off came 29 seconds after they began accelerating as they reached about 150 miles (241 kilometers) an hour. "Lock is on," Michael De Vries, who was at the controls, said, according to a transcript of the plane's cockpit recorder. He repeated the comment six more times as they sped down the runway. The crew waited 10 more seconds and reached a maximum speed of about 185 mph before trying to stop, according to NTSB data. "I can't stop it," De Vries said seven seconds before final impact. On the night of the May 31 crash, Katz's group was delayed and the attempted departure from Bedford, Massachusetts, for Atlantic City, New Jersey, didn't happen until 9:39 p.m. The pilots began to move the plane without unlocking the flight controls, including panels at the rear of the jet that lift the nose at takeoff, according to the NTSB. As they taxied out to the runway, the pilots got a warning light indicating that the rudder at the back of the plane wasn't working, which would have made side-to-side control of the aircraft more difficult. While the pilots commented on the alert, according to the crash-proof cockpit voice recorder, they didn't bother to investigate. In addition to the regular flight-control check, Gulfstream also advises pilots to perform a second test of the device that lifts the nose, known as the elevator. Once a plane on a runway reaches 69 miles (111 kilometers) an hour, pilots should ensure that it works. That also wasn't done, according to the NTSB. James McDowell, 61, of Georgetown, Delaware, was the chief pilot and director of maintenance for the company that operated the plane. He had been associated with the owners of the plane for 27 years. The night of the accident, he was acting as co- pilot. The captain was De Vries, 44, of Marlton, New Jersey. He had worked for the company for 12 years. The plane was owned by SK Travel LLC of North Carolina. Katz was listed as a manager along with Emil Solimine. A contract pilot who had occasionally flown with De Vries told the NTSB he didn't bother with checklists during his flights. Checklists are required at various times during a flight, such as before takeoff, to ensure that pilots don't forget anything. A factor that may have contributed to the pilots' actions is Gulfstream's design of the plane, which the company said wasn't properly certified. Like most aircraft, the Gulfstream IV has a device that locks the flight controls while the plane is on the ground to prevent damage from wind. It's known as a gust lock. Because an attempted takeoff with the flight controls locked can be catastrophic, Gulfstream was required to make it impossible for such a mistake to occur. It did so by preventing the throttles from moving if the gust lock was engaged. The NTSB found during the investigation it was possible in some cases to get increased power from the engines with the flight controls locked. The manufacturer didn't test the gust lock to ensure that it would work properly, according to NTSB. Katz, 72, had flown to Bedford to attend an event at the Concord, Massachusetts, home of Richard Goodwin and historian Doris Kearns Goodwin. Katz, a lawyer and businessman, once owned the New Jersey Nets basketball team, New Jersey Devils hockey team and ran billboard and parking-lot companies. He won control of the Philadelphia Inquirer newspaper and its sister publication at a court-ordered auction less than a week before the crash. The other passengers were Susan Asbell, of Cherry Hill, New Jersey; Marcella Dalsey, of Williamstown, New Jersey; and Anne Leeds of Longport, New Jersey. Flight attendant Teresa Ann Benhoff, of Easton, Maryland, also died. DENVER (AP) - Icelandair says a Boeing 757 continued safely to Denver after it was struck by lightning leaving Iceland. Airline spokesman Michael Raucheisen said in an email Wednesday that the plane was being evaluated after Tuesday's lightning strike during departure from Keflav�k International Airport outside Reykjav�k. He says such strikes are common. The Denver Post quoted a passenger on Icelandair Flight 671, Nathen Maxwell, as saying he heard a bang and saw a bright flash before the pilot announced the plane had been hit by lighting, assured passengers there was no cause for concern, and said they would continue the 3,740-mile trip. The Post also quotes Metropolitan State University of Denver aviation Prof. Jeff Price as saying aircraft are equipped to handle such strikes. Backing up a plane is a lot more complicated that reversing out of your driveway, but pilots generally do it without too much trouble (and with the help of an airplane tug). But this everyday occurrence went awry today for a Delta-operated regional jet in Detroit. ClickOnDetroit.com reports that the Chicago-bound Endeavor Air flight plowed into the wall of a terminal building at Detroit Metropolitan Airport while taxiing away from the gate area. A spokesperson for Endeavor - a wholly owned subsidiary of Delta - confirmed the "very low-speed" collision caused damage to the left tail wing of the aircraft. No one on the flight or in the terminal area was injured during the incident. The spokesperson says that at the time of the collision, the airplane had already been released by the aircraft tug leaving the plane under its own control. An airport officer noticed the collision just after noon and notified the FAA tower, which then ordered to plane back to the gate. "Customers have been re-accommodated on an alternate aircraft with minimal delay to their original schedule," the spokesperson tells ClickOnDetroit.com. Before passengers were ferried to their new plane, some were able to take photos to share on Twitter. When the ordeal was all said and done, passengers arrived in Chicago about an hour behind schedule. Paul Kennedy stared at his sonar on March 7 in disbelief: He saw what looked like a debris field on the floor of the Indian Ocean. It's Flight 370, he thought -- the Malaysia Airlines plane that had vanished 364 days earlier. 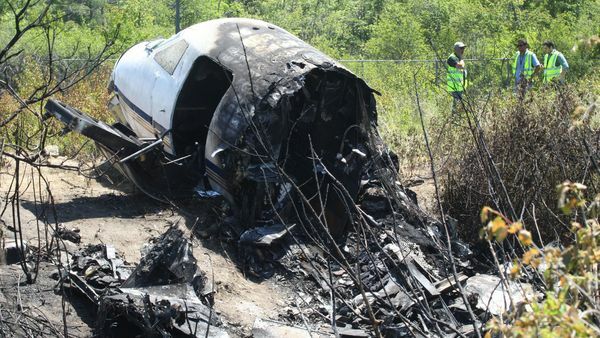 A camera was raced down to confirm that the aircraft's wreckage had been found. Satellite Internet on the search vessels was cut off to prevent the news from leaking. "We thought, 'We might have solved this,'" Kennedy, a deputy managing director at search operators Fugro NV, said in an interview. "It was the right size, the right shape." At Fugro's operations center, surrounded by mallee-tree scrub in the northern suburbs of Perth, Australia, analysts who've been clicking through orange-and-yellow sonar images in search of the plane since last October aren't deterred. "Most people come to work and think, 'Maybe today's the day,'" said Steve Duffield, the local managing director for Leidschendam, Netherlands-based Fugro. "We're a long way ahead, because now we know where the plane isn't." While investigators try to understand why a Germanwings pilot deliberately crashed his flight on March 24, the current search for Malaysian Airline System Bhd. 's Flight 370 is winding down with no answers about the fate of the 239 people on board. Australia's A$39 million ($30 million) contract with Fugro runs through August 2016, but Australia, Malaysia and China haven't agreed on funding for any further searching after May. Government ministers are slated to meet to discuss the issue later this month, a spokesman for Australian Deputy Prime Minister Warren Truss said by e-mail. "We're absolutely in the right spot -- all the analysis has been done," Kennedy said, examining a spare sonar submersible in a quiet warehouse two minutes' drive from the operations center. "It's actually getting more exciting as we get closer." It's "possible but highly unlikely" that one of the pilots was flying the plane to the end, said Dolan, the main government official responsible for the hunt. "Our assumption, based on the evidence available to us, is crew incapacitation," he said by phone from Canberra. "There was no one actually at the controls." If the plane isn't found by late May and funds permit further investigation, "we would move further north, but we'd also have to contemplate whether we would go wider" from the place where fuel ran out, Dolan said. Eyeballing the images is still the most reliable way of spotting debris, said Magnus Windle, the team's lead geophysicist. "We've logged hundreds of contacts, and 99 percent of them look like that," he said, pointing to a yellow smudge on his computer screen that indicates an object sticking above the seafloor. "The plane's not going to be sitting there as a beautiful silhouette with two engines and a tailfin and everything else. We're just not going to see that." Insurers are sending in the drones. Federal regulators have cleared three of the nation's largest property insurers to use unmanned aircraft, an early step that could bring widespread change to inspections of everything from hail-damaged roofs to collapsed buildings to flooded neighborhoods. American International Group Inc. said Wednesday that it received approval from the Federal Aviation Administration to use drones to conduct inspections in the U.S. The FAA previously had approved State Farm Mutual Automobile Insurance Co. and United Services Automobile Association, or USAA, to test drones in the U.S.
USAA said Wednesday that it believed a recent federal policy change would allow it to inspect a catastrophe site as early as this week if needed. An FAA spokeswoman didn't dispute the USAA's interpretation. But insurers could be constrained by various FAA limits aimed at easing concerns about safety and the potential invasion of privacy. For instance, the three approved insurers can fly drones over private or "controlled-access" property only with permission from the owner or other authorized party, according to the FAA's approval letters. Flights also must take place away from airports and most urban areas, during daytime and, in many cases, at least 500 feet "from all nonparticipating persons, vessels, vehicles and structures." The insurers said drones will help them inspect areas that are difficult for people to access, such as wind farms and condemned buildings. In particular, the insurers said drones will improve their ability to swiftly respond to claims from hurricanes, tornadoes and floods by providing aerial images of areas claims adjusters can't get to. They also see drones as a way to reduce injuries from risky roof inspections. "Previously, we either wouldn't have had access to this information, would have had to wait, or in some cases collect it with hands-on methods," said Eric Martinez, an executive vice president at AIG in charge of claims and operations. The U.S. insurance industry is one of several sectors in which the devices are poised to have a significant impact on how companies operate. Already, farmers, filmmakers, miners and construction firms are using unmanned aircraft to inspect crops, capture aerial footage and collect more data on job sites. Amazon.com Inc. wants to use unmanned aircraft to deliver small packages. 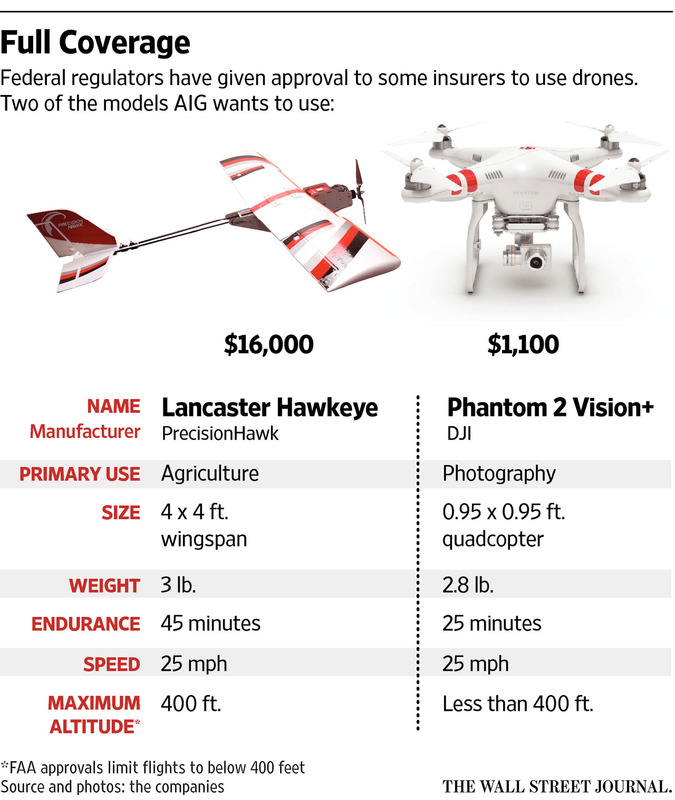 Still, the FAA restrictions could hamper a rollout by insurers. Kathleen Swain, a pilot at USAA who operates its two drones, said the FAA curbs would severely limit how the company uses drones. "We can go operational in theory, but we have to have permission from all landowners we fly over," she said. "That is going to be a bit of a hindrance." Because of the guidelines, AIG likely won't be able to fly the devices over neighborhood homes, at least not yet, said Mark McKinnon, an attorney working for AIG. The company could use drones to inspect large industrial facilities, for example, or catastrophe sites where victims have been evacuated, he said. AIG said it plans to deploy drones "in select scenarios in the U.S. this year." Before the FAA approval, AIG used drones to survey insured buildings in New Zealand, where drone regulations are less restrictive than they are in the U.S.
Privacy advocates said they worry that the rise of camera-equipped drones in the U.S. is making it easier for neighbors and companies to spy. President Barack Obama in February sought to assuage privacy concerns by limiting how federal agencies can use drones and how long they can retain data gathered by the devices. Mr. Obama also ordered the Commerce Department to convene stakeholders to develop privacy guidelines for private and commercial drone use, though privacy advocates have criticized that effort because the guidelines would be voluntary. A USAA spokeswoman said in an email that the company was "taking prudent steps to ensure our research meets our high standards for information security," though images collected by the drone are "similar to what is found in mapping technologies today." State Farm said customer privacy is "one of our top priorities." An AIG spokesman said in an email: "We abide by all federal and local regulations" and will only operate "on properties where we have permission of the owner...to only intentionally collect images of structures that today are being inspected by a person." For State Farm and USAA, the approvals allow the insurers to begin testing on their own rather than in collaboration with universities and other parties approved by the FAA at specific locations. Ms. Swain of USAA said the San Antonio-based insurer has applied for a second FAA approval that would make it easier for the company to use drones during a disaster, such as during this year's Atlantic hurricane season. The insurer can disassemble its drones to fit into a box to transport as plane cargo, then reassemble them where they are needed, Ms. Swain said. The insurer started work on its drone effort in 2010 and ramped up testing at FAA sites last year. "The highly anticipated F-3, Japan's first domestically-made stealth jet, is aiming to conduct test flights this summer," the Taiwan-based Want China Times reported, citing a story in the PLA Daily, the official publication of the Chinese military. The ATD-X program, which is being run by Mitsubishi Heavy Industries (MHI), has run into myriad different problems. Indeed, Japan had originally intended to conduct the first flight test of the jet in 2014. However, Tokyo was forced to postpone the test due to "engine control" problems. Back in January, Flight Global reported that, because of these problems, the F-3 wouldn't conduct its first test "until late this year at the earliest." As the name suggests, the ATD-X program aims to develop new technologies to enable Japan to build its own fifth- and sixth-generation fighter jets in the coming decades. The program was started in part because the United States imposed an export ban on its first fifth-generation stealth fighter jet-the F-22. Students pursuing an associate's degree in Palo Alto College's professional pilot program can now learn to fly helicopters in addition to fixed wing aircraft. The community college will announce Thursday that it is partnering with Sky Safety and Alamo Helicopters to offer helicopter training. Students will be able to earn a rotor wing pilot's license and an associate of applied science degree at the same time, according to a college release. Eligible veterans can use their military benefits for the program. "Many Vietnam-era pilots will soon be retiring, opening up job opportunities in an array of industries - oil fields, tour companies, firefighting, and others - around the world," said Stacy Riggs, owner of Alamo Helicopters, in the release. PAC's aviation technology program is based at the historic Stinson Municipal Airport. Texas State Technical College students walk around an American Eagle jet that landed on campus. TSTC signed a new partnership with Envoy, which provides flight service under the American Eagle brand, that will lead to job opportunities with American Airlines for aircraft flight training graduates. A new partnership between American Airlines and Texas State Technical College aims to put more of the college's flight training graduates in the cockpit of the company's planes. The college on Wednesday signed a pipeline agreement with Envoy Airlines, a subsidiary of American Airlines Group that flies under the American Eagle brand. Through the arrangement, Envoy personnel will directly mentor and recruit aircraft pilot training students to enter the company's pipeline instructor program, which could lead to direct hiring opportunities with American Airlines. "We like to partner with somebody that we can put our name (with) and be proud of and we want to be part of, and that's with TSTC," said Nick Brice, director of pilot recruitment for Envoy. TSTC graduates about 20 students from the aircraft pilot training associate's degree program each year, said Carson Pearce, director of the college's aerospace division. The partnership is an effort to address an expected shortage of pilots in the next few years because of retirements. Pearce said the airline industry projects a shortage of 6,000 to 8,000 pilots by 2018. Brice said Envoy estimates that it could be down 600 pilots in the next few years based on the 20 pilots per month who transition to American Airlines. "That's just basic attrition. That does not count those who get sick or quit aviation or they go work for another company. (And) that's just to American," Brice said. "That number will increase, so that's why we want to be partners in a pipeline program with schools like TSTC, so that we get a constant flow of pilots for the future so that we can keep flying our schedule." TSTC has a similar agreement with Utah-based SkyWest Airlines. But the partnership with the Fort Worth-based American Airlines aligns more closely with the college's mission of producing graduates for the Texas workforce. TSTC in 2013 switched to a new state funding formula in which it is allocated state money based on the earnings of graduates who obtain jobs in Texas. "It's very, very, very important now that we are able to have this opportunity for (students) to be able to get jobs," TSTC Vice President of Student Learning Dale McCall said at the signing ceremony for the agreement. "Part of our funding will now come from placing our students . . . so this affords us to do that." Pearce said TSTC students will benefit from being able to interact with a major airline earlier in their studies and will gain insight into the culture of American Airlines before they begin their careers as pilots. The partnership will target students who have graduated and are beginning work as flight instructors at TSTC. "The agreement is to get our seasoned graduates on a fast track to American Airlines," Pearce said. "Envoy is coaching them, providing them with guidance to advise them on their career, giving them the ability to see their facilities in Dallas at DFW (International Airport), interacting with their people, and put them in a place to get an interview." Pearce said the initiative also will allow graduates to more quickly earn the minimum flight hours they need to apply for positions with a commercial airline. Pearce said airlines typically require a minimum of 1,250 flight hours, but pilot students usually graduate from TSTC with about 250 hours. Flight instructors then can earn about 170 hours of flight time a month, so it would normally take graduates about six months after completing the program to earn the hours needed to seek a position at an airline. "It's a very good thing for the college, it's a very good thing for our graduates, and of course it's a very good thing for the flying public," Pearce said. "TSTC produces top-notch aviators, and the airlines are clamoring for our graduates." Australia's transport safety investigator and civil aviation safety regulator have signed an agreement to cooperate to improve aviation safety. Chief Commissioner of the Australian Transport Safety Bureau (ATSB), Martin Dolan and Director of Aviation Safety at the Civil Aviation Safety Authority (CASA), Mark Skidmore signed the new Memorandum of Understanding on 30 March 2015. Mr Dolan said the MoU spelled out how the two Agencies would cooperate in the interests of improving aviation safety. "We are working together-with the ATSB identifying safety issues through its investigations and findings, and CASA and the industry responding to those issues, as appropriate-to promote high standards of aviation safety," he said. The MoU contains protocols for interactions between the two Agencies, including notifications of accidents and incidents and procedures around access to evidence, exchange of information and initiating safety action. Both Agencies have reiterated a commitment to tell the other Agency about matters they reasonably believe the other Agency needs to know for safety purposes. Mr Skidmore said it was important for the Agencies to share safety information ''while recognising that there are limits to what the accident investigator can provide to the regulator''. "CASA will only ask for information if it is clearly in the interests of safety," he said. "The ATSB makes the decision on what information is provided to CASA. If CASA has information it believes relevant to an ATSB investigation, it will let the ATSB know." The full MoU can be found at this PS News link. IOSA is an internationally recognised and accepted evaluation system designed to assess the operational management and control systems of an airline. It is based on industry proven quality audit principles and designed to ensure that each audit is conducted in a standardised manner in order to achieve consistent results Proflight's Director of Government and Industry Affairs Captain Philip Lemba said: "Only 300 airlines around the world have passed the IOSA audit. The IOSA audit is the standard of safety audit in the world. Attaining IATA accreditation will elevate Proflight's safety credibility so that the airline can make a case for exemption from the EU ban list on Zambia." "We have set up a task force and a steering committee to ensure we attain IOSA accreditation. We have extremely competent staff, one of who managed to score 100 per cent on his IOSA test during the workshop," he said. There have never been before or currently any airlines in Zambia that have attained IOSA accreditation. 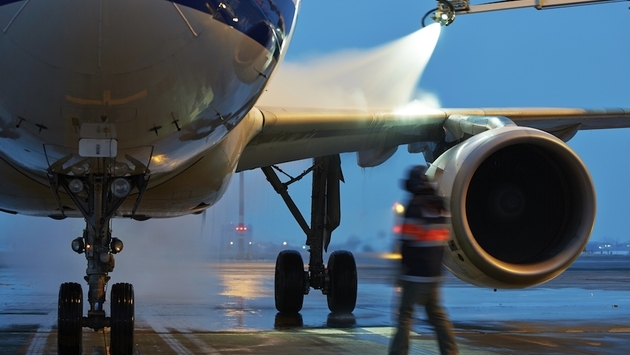 After one of the wildest winters in recent memory, the aircraft de-icing industry has never been hotter, and new market research now claims the business is projected to reach $1.3 billion by 2020. According to a report from MarketsAndMarkets.com, the increase from the aircraft de-icing industry is expected to be driven by the ever-increasing need for new and stricter safety standards, as well as the modernization and expansion of airports around the world. Standard deicing has made way for improvements in the field. From forced air de-icing systems to infrared radiation, manufacturers and airports are trying to find the most time- and cost-efficient ways to remove ice from aircraft. The market for aircraft de-icing is expected to grow considerably, and several hotbeds for the industry improvement are the United States, United Kingdom, Canada, China, Russia, Japan and several more economical powerhouses. The market isn't just growing for commercial airlines, though, as the aircraft de-ice machines are also widely used by the military. With two separate sectors likely seeing major increases, the de-icing industry is trending upward. Between the vehicles and equipment used by the de-icing teams, including trucks, sweepers and other crucial tools, and the fuel needed to power the machinery, the market has climbed over recent years and will continue to do so rapidly. Clearing off the ice and frozen debris from all types of aircraft is a pivotal part of the safety guidelines for airports all over the world. The emphasis on airline safety has never been higher, and that will in turn increase the focus on the aircraft de-icing industry. Add in the continued rise of technology in the industry via heat-coat anti icing systems and a greater attention to efficiency, and the projection of $1.3 billion by 2020 doesn't sound unreasonable.